Twitter is a cultural phenomenon encompassing both personal and professional purposes. I use Twitter professionally. I just started using Twitter about 7 months ago. I rebelled against using it for a few years. I finally reluctantly joined after being persuaded by my husband that there were great benefits. He said there were so many networking and learning experiences to using Twitter professionally. I hopped off my long-held rebellion and jumped onto the Twitter bandwagon, to never look back. Yes, this non-believer, quickly became a believer. I was foolish to purposely revolt against it for so long. I did not see the purpose of yet “another social media website”. You could say now, I am a Twitterevangelist, trying to educate other professionals of the empowerment and professional development opportunities the Twitterverse has to offer. Twitter has a huge following of educators who use it for their Personal Learning Networks (PLN); which is what I do. I have networked with so many fabulous and knowledgeable people. It is like a Twitterversity (University on Twitter for educators). Who’d have thought? Not, I! Twitter is an exciting social network, but it does have complicated lingo, features and unspoken etiquette rules (well in some places these rules are spoken but they are not transparent, and if you don’t look you will not find them). Newbies to Twitter, such as I, have fumbled our way through the Twitter universe trying to do good and right, but have often made huge mistakes that have hampered ones ability to gain a Twitter following by unknowingly breaking the Twitter etiquette. Or, by not understanding the odd lingo. As a Twitter Newbie who is sympathetic to other newbies, I thought I’d share some more of what I have learned about Twitter. In October, I shared some things I had learned as a brand new Twitter newbie and why teachers should join Twitter. This time around I’d like to share about Twitter etiquette, how to act as a professional using Twitter and share some of the odd lingo beneficial to educators. Since the Twitter lingo is whimsical itself, I thought I’d write with more sarcasm. In doing so, the links I am providing to the definitions of the Twitter lingo, are from Urban Dictionary (content I am providing is professional and clean). Yes, yes…this teacher is referring to Urban Dictionary. Go figure! I’m not a master of Twitter; therefore, I can’t say with certainty that I am completely Twitterized (proficient in the lingo of Twitter). I have learned some things and will share those things. While using Twitter I have made some mistakes too. (If you are a Twitter follower of mine, I apologize for when I have broken some of the Twitter etiquette rules. I know I have done this, and you have my deep sincere apologies.) As a Twitter Newbie I have done this, unknowingly ignorant of the ins and outs. However, as I have Twitterized myself more and more, I have learned some of the ropes of using Twitter. Most Twitter Newbies commit Twitterbuse because they don’t know the unspoken rules. As a newbie who can relate, having a list of the yes’ and no’s will be helpful to you and will help keep your Twitterbuse at bay. I’d like educators new to Twitter to understand the twitetiquette (etiquette) and the lingo of the “Tw…’s” As I share the lingo, it will begin to sound like a tongue twister repeating in your head. Just go with it! Cool beans! What is Twitterized? Twitterized (proficient in the lingo of Twitter) educators are Twitterlated. They love to read Tweets and articles about Twitter. This can become a professional obsession. But, they do it because they have learned that Twitter plays a huge role in their professional development, their Personal Learning Networks (PLN). If you are an educator and have been drawn to read this article because it has the word “Twitter” in it, then this is you. Sarcasm, yes! However, I’m not pointing fingers because, I admit I am guilty of this too. Go ahead, point the your finger at me! I give you permission. Be careful though, you don’t want your Twitterized abilities to turn into Twitterizing (terrifying, Tweeting obsessively) other Tweeps (Twitter followers), Twitternests (Twitter followers). 1. Don’t Twitter Jack other Tweeps (Twitter followers) posts. I try to be careful about this; however, one can never be sure if you can say you’ve never done. So, on the safe side, I’ll say I try not to do it. It’s not cool! Let the credit be given to the Tweep (Twitter followers) that tweeted the post. 2. Be professional and watch out for twitterfinks, bosses who watch your tweets on Twitter to make sure you are not tweeting during work hours or participating in behaviors you shouldn’t. Although I advocate Twitter for professional purposes, don’t be dumb. Know your employers policies and follow them. You don’t want your actions or lack thereof to come back to bite you. Now, if your employer gives you the green light to use Twitter during work hours, in class, for conferences/ meetings, ect., by all means tweet away. Always assume you have a twitterfink, and be professional in your actions. 3. Your PLN (Twitter followers) are your groupies. Support them, as they support you. When they tweet about you or retweet your stuff, mention them back with some acknowledgment. A simple “thank you” @______ will do. Don’t let them become Twitter ghosts . They may feel unappreciated and may stop following you. 5. You can easily become the product of Twitteridus– using too many # (hashtags) #after #every #word #you #use. It’s obsessive and impolite. Don’t do it! I’ve fallen victim to this, yes I admit. (Apologies to my Tweeps. I know better now.) Play it safe and use only several hashtags (#). Your followers may no longer increase if you do this and your following will twitend, level out. 6. Your followers, especially other educators, will love you posting periodic twitbits. This is a good thing. Twitbits are short factual tidbits. Face it, us educators can be geeks, and we love factual/educational content. Geek away at the tidbits. I do! 7. If your employer does not allow use of social media during work hours, they may Twitblock your access. And although realistically all of us Tweeps would love our employers to be Twitterized, and jump onto the Twitter bandwagon, not all have, and not all will. Know your employers policies, be respectful and follow their policies even if the Twitblock annoys you. 8. Educators love professional development, so twitcasting is an awesome interactive method of allowing attendees at a conference to post live tweet updates of what they are learning. Make sure you create a conference hashtag or know what the conference hashtag is. Your Twitter stream will be filled with updates from twitcasting, but if you Twitterize your life, this will give you warm happy fuzzies. 9. 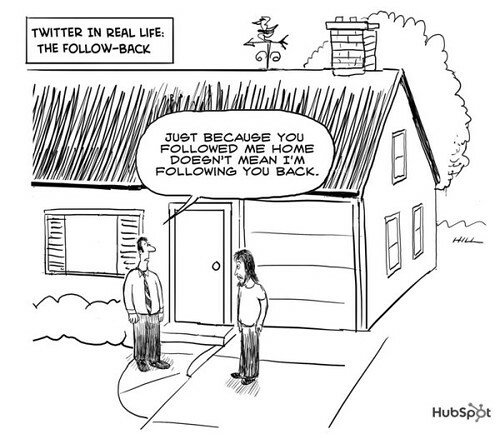 We Tweeps love our Twitter PLN, but we need to be careful not to neglect our real lives, work and families. We all need to be careful not to Twicrastinate with obsession into our Twitterverse. Moderation! Yes…I’m giving myself a lecture on this as I type. Bad I! 10. Using Twitter as part of your PLN is awesome, but be professional and use your brain. Don’t commit twiticide, posting content that is unprofessional and that could get your fired! You’ll ruin your career and future career opportunities. Don’t be stupid. 11. Learn which tweets are real and genuine. And, which tweets are Twitillated, generic uncaring responses or responses set up to post automatically…meaning there is no real person behind the response. When you are a Twitter newbie (twitling) you will feel so important when someone has tweeted you back or mentioned you. Sometimes it is genuine… but it can be a Twitillated tweet. You will learn as you go. 12. When tweeting you will have to develop a new way of writing and confine yourself to 140 characters or less. This twitoric writing style is easy for some and hard for others. I tend to be long-winded, so it is quite difficult for me. Writing with twitoric is actually teaching me how to shorten what I say. I still stink at shortening things. If you don’t believe me, read my blog posts, some of them are encyclopedias. 13. After you’ve been on Twitter for a little while and have more followers, it’s okay to check your Twitter account periodically and not have to read everything by everyone that is posted. You will not have time to do this. And, remember you don’t want to Twicrastinate. You will want to check some of your news stream, after being Twitroactive. But, remember you don’t have to read everything. Twitlings fall prey to this constant checking. Find balance. I fell victim to this too. I know! 14. It’s okay to retweet some tweets. Don’t do it obsessively and too often. If you do this, you are spitting out twit-spam and your followers will classify you as a spammer even if you have the nicest of intentions. Don’t spam-up their Twitter feeds. Yes, as a Twitling I have been guilty of doing this, not knowing the Twitetiquette. (Followers, again my sincere apologies). Find balance! 15. If you have Tweeted something that you would like to be retweeted; but it hasn’t, don’t become engulfed with Twitter anxiety. Not all Tweets will be retweeted and not everything will be read. Relax! It’s okay! It’s all good! (Who’s also fallen victim to this? Hmmm…finger pointed at myself). 16. If you follow someone who doesn’t follow you, but then they finally follow you, you will probably experience excitement, twitteration. Celebrate and be happy. It’s your “happy, happy, joy, joy” moment! 17. You don’t have to follow everyone who is an educator or who is a professional in your field. Have Twitter balance. You can always follow hashtags of groups within that field. Keep your streams open some. 18. Along with having Twitter balance with followers, have Twitter balance with your time on Twitter. If you become obsessed with it, you are not doing yourself any good. Take a chill pill and a twittercation, vacation from Twitter to prioritize your life and balance. We’ll all be waiting here for you when you return. Your Tweeps will understand. Remember we are your groupies! 19. It’s okay to take part in twittereciprocity as long as your motives are good. If you want to follow someone back that followed you because you really want to, then it’s cool. But, if you follow someone back out of guilt, then do yourself some good and don’t give into your feelings. You’ll regret twitterreciprocity if you do it out of ill feelings. 20. If something is worth tweeting about to your PLN, then it is Twitteriffic. Your Tweeps will love your Twitteriffic tweets, or even Twittertastic ones too! I do! 21. There are some educators and Tweeps on Twitter who are twitterites. These people tweet all day. Oftentimes educator twitterites are actually knowledgeable assets to your PLN. FYI! Follow them! 22. Joining Twitter is fabulous for educators to network and develop their personal learning networks. I’m an advocate for Twitter professionally and would love all educators to no longer be #twitterless. They are missing a rich learning experience and have no idea what they are missing. Let’s help the #twitterless become twitlings…jumping on board the Twitter bandwagon as a Twitter Newbie! 23. There are some fabulous educator twitter-ninjas on Twitter. These are the people who you want to follow and who will spice up your PLN and professional development. Trust me on this! How do you know if someone is a twitter-ninja? If they have more followers than the number of people they follow, odds are they most likely a twitter-ninja. Follow them! 24. Your PLN on Twitter is like an encyclopedia of information that you can learn from. You will learn more and faster from your Twitterpedia, than you do from any other professional development source. Believe me! It’s like an encyclopedia “on steroids” (sarcasm of course). 25. Make sure your Twittersona is professional when using Twitter as a PLN. Your Tweeps will learn who you are from your Twittersona. Portray yourself truthfully and how you would want to be portrayed in front of any employer. You don’t want your Twittersona to come back to bite you. 26. Within your Twitternest you will develop a Twitterville of people who you naturally will tweet with most. This is okay and acceptable as long as you have balance. Don’t ignore your other Tweeps in the process. Your Tweeps will unfollow you and think your big in the head if you ignore them too much. If you play it cool and follow the Twitetiquette you will develop a steady stream of dedicated followers. 27. Lastly, be good to your Twitsciples. They are your PLN bff’s. You will know who they are once you get a loyal following. So, in saying all of this…by no means am I attempting to be a twitdouche. Yes, I’m giving you information to Twitterize yourself, but I am not telling anyone I know it all or am better than anyone else. Not true. I’m just a simple newbie, fumbling my way through the Twitterverse. All in all, if you don’t understand these Twitterms, it’s okay, give it time. You will become Twitterized as you go. Don’t get frustrated and become a Twitterquitter. Your Twitter PLN is too great to lose. Twitternests, if you see a PLN member seem to express this urge, encourage them and be a great Tweep to them. As you are on Twitter longer you will gain maturity in your Twitter years; this is the sign of becoming Twitterized. Enjoy the Twitterverse! Thanks! I understand what you mean. I did not have my account for several years before using it regularly. However, I did open one last May and let it sit unused until August. I think many more of us have done that, than we admit. Thanks again. I had fun writing it…laughing to myself. I share sooo many of your thoughts! i had just posted my words on Twitter, but just revised to add the link to this post. Thanks for reading and I will continue to see what you have to say! Thanks. I thought the same exact thing when I read your post. Great to connect with you.